An examination of the ways human movement can be represented as a formal language and how this language can be mediated technologically. 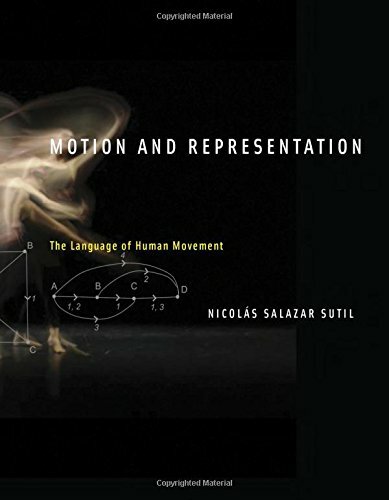 In Motion and Representation, Nicolás Salazar Sutil considers the representation of human motion through languages of movement and technological mediation. He argues that technology transforms the representation of movement and that representation in turn transforms the way we move and what we understand to be movement. Humans communicate through movement, physically and mentally. To record and capture integrated movement (both bodily and mental), by means of formal language and technological media, produces a material record and cultural expression of our evolving kinetic minds and identities. Salazar Sutil considers three forms of movement inscription: a written record (notation), a visual record (animation), and a computational record (motion capture). He focuses on what he calls kinetic formalism―formalized movement in such pursuits as dance, sports, live animation, and kinetic art, as well as abstract definitions of movement in mathematics and computer science. He explores the representation of kinetic space and spatiotemporality; the representation of mental plans of movement; movement notation, including stave notation (Labanotation) and such contemporary forms of notation as Choreographic Language Agent; and the impact of digital technology on contemporary representations of movement―in particular motion capture technology and Internet transfer protocols. Motion and Representation offers a unique cultural theory of movement and of the ever-changing ways of representing movement. Part Number: 52 b&w illus.